There’s such a stigma attached to Lice, when the reality of the matter is ANYBODY can get them. They actually prefer clean hair to dirty hair, so frequent washing is no guarantee of preventing an infestation. According to the Centers for Disease Control an estimated 6 million to 12 million infestations occur each year in the United States among children 3 to 11 years of age. 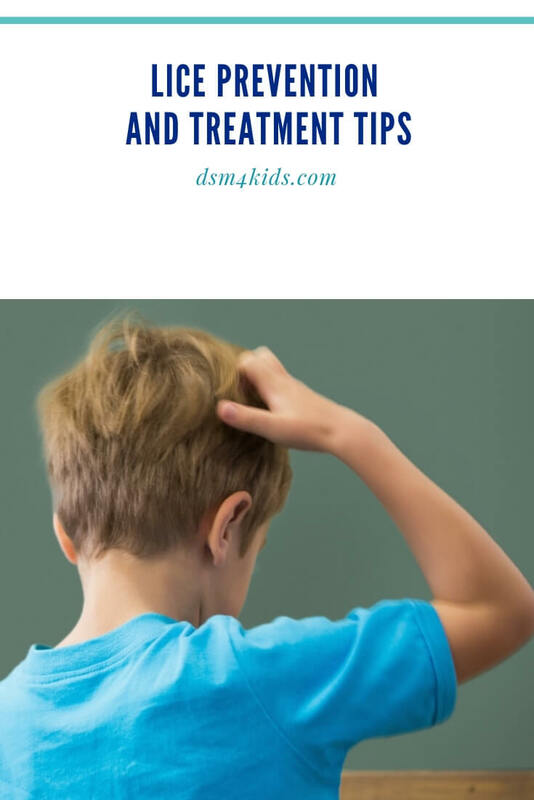 Dealing with lice is an issue families hope to avoid but many are faced with each year. Your main goal with lice prevention is to not make it easy for the little buggers to crawl from one head to the next and settle in. Keep long hair in a tight ponytail, braid or bun. Tell your kids not to share combs, brushes, barrettes, scrunchies, hats, scarves or pillows. Use shampoo and conditioner with an essential oil, like tea tree oil, in it. Add a couple drops of tea tree oil to grooming products and hats to ward off the bugs. We use tea tree oil in a roller ball. My kids can roll it along their part-line and around their ears quickly while they’re getting ready in the morning. I also have heard from friends that they put tea tree oil in a spray bottle and then spray their kids’ winter hats. First things first: If your child does get lice, take a deep breath and don’t freak out. Okay, maybe freak out a little, because let’s face it…they’re gross, but they’re not actually harmful to health. It’s best to combine a number of techniques to eradicate the lice from your child’s scalp. Some treatments will kill the adult lice and others take care of their tiny eggs (called nits), which are glued to the hair shaft. The nits can survive treatments that kill the adults and vice versa. The first course of action is typically an over-the-counter (OTC) topical medication that kills lice and some of the eggs. These medications may not kill recently laid eggs. Therefore, an appropriately timed second treatment is usually necessary to kill nymphs after they hatch but before they become adult lice. The biggest advice here is to FOLLOW THE DIRECTIONS. Make sure to follow up with a second washing if needed and DO NOT overuse the product. Once an OTC treatment has been administered…the best and most effective way to remove nits is combing. You’ll need to do this in conjunction with almost all other treatments. You will need to comb hair section by section with a special “nit” comb to remove lice and nits. There are a number of common household products used to treat head lice infestations, like olive oil, mayonnaise, butter and petroleum jelly. The main goal of these treatments, is to smother the adult lice. If you’re hesitant to use an OTC treatment, these may be good alternatives. Also, mixing in an essential oil might make these treatments more effective. You’ll still also need to comb through the hair to remove the nits. In a 2010 study, hot-air methods proved highly effective in killing nits, but less so in eradicating live lice. To be effective, the blow dryer must be used repeatedly (every 1 to 7 days since eggs hatch in 7 to 10 days) until the natural life cycle of the lice is over (about 4 weeks). Using a blow dryer for 30 minutes, as directed above, got rid of nearly 98% of nits and 55% of lice. NEVER use hot air after applying a chemical lice treatment. Some may contain flammable ingredients. Is anybody else’s head itchy? What are your tips for preventing and treating lice?